The children have enjoyed the theme of ‘Space’ and have been working their way through our file of Dyson Challenges. The children have achieved their Bronze Award and are on the way to Silver! They are now enjoying our Christmas crafts and activities. Please also remember to let us know if you are collecting your child from school on a day when they are booked into the After School Club. We are running a Christmas and New Year Holiday Club in our childcare centre at Longsands. Please ask for further details if you need a place. We will be open 21/22/23 December and 3/4/5/6 January. As school closes for the Christmas holidays at 2pm on 22nd December the After School Club will run until 4.30pm on that day. We are happy to welcome Laura Griffin to our staff team. Laura will be replacing Sally Williams as Club Supervisor. The activities in the Before & After School Club this term are based around the theme of Spring. 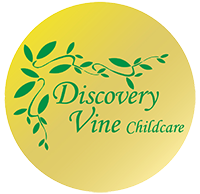 Discovery Vine’s management team are preparing a new folder for each After School Club that contains challenges for the children to take part in. They will also be introducing some new resource boxes this term which will include Den Building, Electronic Circuits, Code Cracking, Marble Roller Coasters, Spy Kits & Bug Hunting. We respectfully ask that you inform us if your child/children will be taking part in any after school extra curricular activities. We work very closely with the school staff at the end of the day to ensure that all children get to where they are meant to be, but it can be a very hectic process for us and the school if have to keep asking which children are in the clubs. We are now taking bookings for the Holiday Club for the Spring Bank Holiday Week, this will run at Harris Primary School. Please book ASAP if you need a place. The itenerary of activities can be viewed at the club. Summer Holiday booking forms will be out shortly, as soon as we receive confirmation from our proposed trip venues.